As it is said 'an apple a day keeps the doctor away,' so true it is that a few miles of walk per day, helps you keep alive for more days. Right from helping you to lose weight to de-stressing your mind, from lowering your BP to reducing chronic illness walking has a number of benefits. Walking is considered to be the best and easiest kind of exercise because anyone can do it easily. Living in a world of today where we spend most of our time in sitting and doing work right from the time we wake up, till we drive to our workplace, do our office works, then again drive back home, do the household courses and then sleep. In all these tasks we hardly spend any time in movement and walking which may have disastrous effects on our body parts like knees, shoulders, back and joints of legs. To curb this excessive sitting habit and give momentum to our body we need to walk at regular intervals of time often and often. So in this world of automation this walking habit kicks off your sedentary lifestyle habit powering your muscles and making it more flexible and agile. Just a 15 minutes of daily walk right after eating improves the blood and controls the glucose level in older people who have poor glucose tolerance levels. Try to keep your walk as close to your meal as possible to help you achieve weight loss. As walking post lunch improves the body’s triglyceride levels and lowers the blood pressure levels, which is said to increase especially after meals. 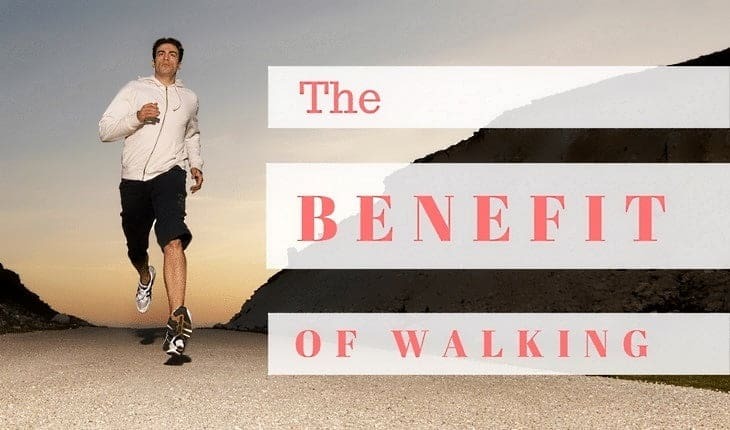 The Benefits of Walking Daily are many; you can take short 3-minute bouts of a brisk walk or go for a longer one like a 30-minutes bout of the brisk walking. Taking a brisk walk post meal lowers the postprandial blood pressure along with the triglyceride levels. Improper digestion and eating habits may cause problems like gastrointestinal discomfort, diarrhea stomach bloating, & may even lead to colon cancer. Hence it is important to keep your health and digestive system fit and healthy. Along with keeping healthy eating habits and drinking plenty of water, you must also walk at regular intervals to accelerate digestion. Walking to do weight loss post lunch or dinner is a great habit to inculcate. Walking helps you in reducing excess flab and also flourishes your digestion. Walking for weight loss has also proven to increase your lung’s breathing capacity. When a person walks fast, he breathes and the more oxygen he intake’s than compared to the time when you are still. This intake of oxygen and release of carbon dioxide done can help in increasing your lung’s intake capacity, increasing your stamina and grow performance. One of the advantages of walking is that you don’t need to run or jog. Medium pace walk of 60-minute with breaks, can itself do wonders. One more interesting fitness and mental health benefit of walking are that it delays aging. A study conducted by Harvard graduates proved that students who walk for at least 25- 30 minutes daily had a longer life as compared to those that lead a sedentary life. Physicians and psychiatrists highly recommended daily walking as it helps in an uplifting mood. So, when you sad or depressed, just go for a walk to get some air feel fresh and better. Regular exercise helps to tone your legs, and you need not pay any extra money to the gym for getting such fine tones legs. Your body is completely revitalized by the proper flow of oxygen and blood, and stabilizing your heart rate. A daily walking doesn’t demand to wear of any typical sports shoes or any parks to walk. You can just start anytime and anywhere with your daily slippers on. If you are a working person you can go for a stroll in your office premises even after lunch or in the evening. Most of the multinational companies in Finland follow the work culture to stay healthy. They start early for the office and work till eve and post lunch when the sun’s up all of them go for walking and jogging. Once done with this daily fitness schedule they leave for the day. The concept of the walking meeting has also grown in the MNC’s. Most of the people yawn during the meeting when the topic being discussed is not of their interest. Whereas the walking meeting keeps the listener occupied and helps in staying focused, refreshed and invigorating. This helps them manage their work and healthy life equally. A research is done on how to walk shows that the speed at which a person walks makes a considerable difference. 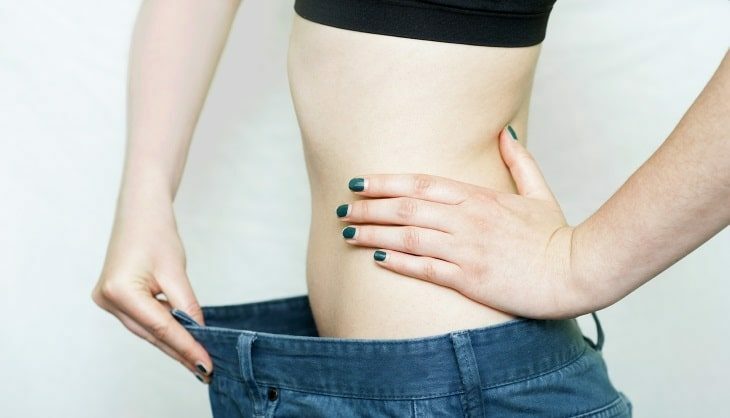 It was found that the women who walked less but a faster pace lost ten times more belly fat in a week then those people who just strolled around. Walking at a faster pace also helps visceral fat to lose up to three times. Visceral fat is the fat around the kidney and liver region which are linked to causing diabetes and heart problems. Researchers from the Arizona State Uni﻿﻿versity has found that taking a 10-minute walk at each day is very effective way to low your rate of blood pressure. There are many benefits of walking regularly one of the best benefits is it helps to maintain a good weight. 30 minutes of walking every day help you in burning up to 75 calories. And if you walk at a speed of 3 mph burns 99 calories and that at the speed of 4 mph helps in burning up to 150 calories. No need to go cycling or run on treadmills to lose weight when nature has given plenty of time and environment to go out and explore. Walking also helps you battle problems like obesity. Research conducted at the University of Utah in 2014 among the women, an every minute of doing brisk walking in the whole day could lower the obesity risk by 5%. And a study at Harvard School of Public Health found walking could cut effects of fat and obesity-promoting genes in the body by half the rate. According to the study at American Diabetes Association regular walking is proved to be a great way in curbing diabetes. Initially to start with you should start with 3 to 5 minutes of slow-paced brisk walking and then you can stretch it out for 5 and max to 10 minutes followed by walking at a moderate speed. While you walk to make sure that you keep your body spine erect straight and your chin is facing up. Occasionally on some of the days you can select to indulge in small pace and shorter walks and on the other days you can push yourself to go for a brisk walk. Dr. James O. Hill a doctorate from the University of Colorado, Denver has written that a modest of change in one's daily schedule like making some time for a walk can have a significant change in one’s life and that of a diabetic patient, by reducing the overall healthcare costs by nearly half of its price. To see the good results, one can start off with 30 minutes or go for 2400 steps per day and later extend it as per your convenience up to 77 minutes else 6400 steps per day. Regularizes your metabolism rate and provides protection against various health issues like diabetes, high BP, and various heart diseases. Your risk of heart diseases and stroke is reduced to a considerable rate of up to 40 percent as shown by the cited health studies. Walking increases the HDL level and reduces the LDL cholesterol levels. 30 minutes of walking regularly reduces the risk of stroke by 27 percent. 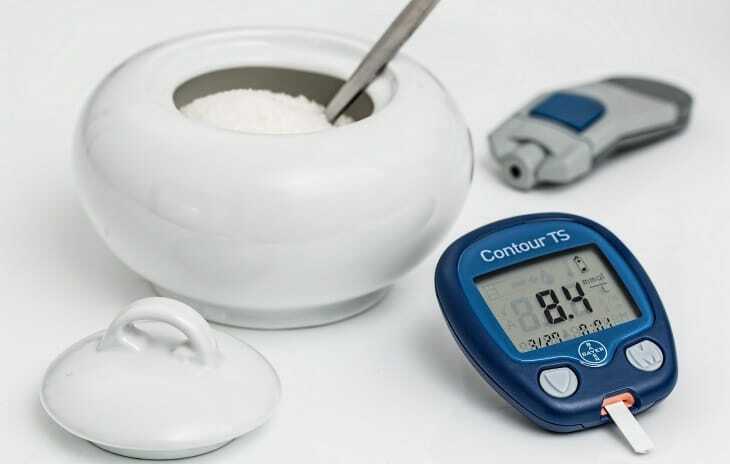 The secondary circulatory system are also strengthened thus preserving the leg muscles to be healthy including the gastric and abdominal movements and you will maintain a healthy lifestyle. A study at Seattle's cancer research center has proved that one of the health benefits of walking regularly is, relieves from insomnia and improves sleep rate. Also it reduces disability rate and other OA symptoms among people who were 65 and above of age. Walking is also proven to prevent dementia and brain shrinkage and helps in preserving memory intact. Also it helps in maintaining a good physically by keeping your thighs, stomach, waist and hips in shape thus forming a good posture. According to the 2012 study at Harvard University for Women's Health shows that walking for one or three hours in a week can reduce the risk of death caused by breast and uterus cancer by a rate of 19 %.also if these women take some extra efforts and push themselves a bit more, and start walking for about three hours to five hours in a week, they can reduce this breast and uterine cancer risk to almost 54%. The journal of Cancer Epidemiology, and Biomarkers Prevention, has published a journal by conducting an experiment at American Cancer Society and found that walking for 7 hours in a week can reduce the risk by 14 % for breast cancer itself. The sample size had a group large as 73,600 people and was done for over two decades, proving the results of the study to be even more credible. Study at the various other health institutions also states that walking reduces the risk rate by 60 percent of type 2 diabetes and that of breast and womb cancer is reduced by 20 percent. Walking also improves your breath rate by supplying ample oxygen flow to the blood vessels thereby increasing the energy level. It helps you be agile and keep moving with a mind full of creative thinking. 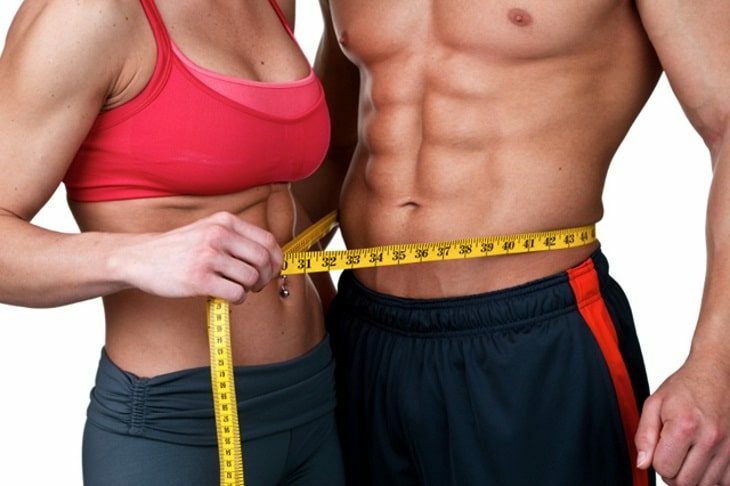 Apart from this your metabolism is improved and fat content is relatively mobilized increasing your body's flexibility. Human bones start decaying and loosing vitamins and calcium once crossed a certain age so doing a daily walking exercise gives strength to bones and muscles and boosts our immune system by giving vitamin D which increases blood and oxygen circulation keeping you active. Arthritis patients have to go through a tough exercise pattern on the front. Usually they don’t have any better option to avoid exercising, but exercise tends to be more heavy and hurtful. So what to do is just start walking. Doing walking is a very gentle to the body, if you particularly do it in a proper form. One of the studies even found that weight lifting and walking helps in combating osteoarthritis in adults. When the bones and muscles are strengthened you can easily lift any weight and releases your joints from getting arthritis and pain. Walk in sunlight helps to fight seasonal affective disorders serving as an antidote for winter blues. A walk in the afternoon post lunch is recommended. 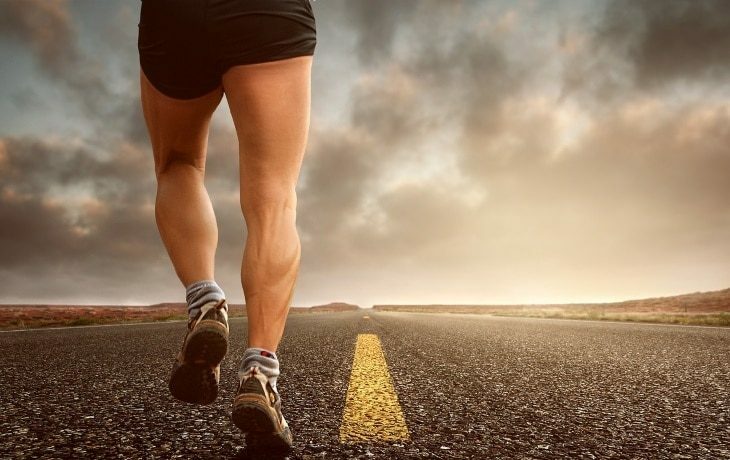 According to the study done at the University of Appalachian State in North Carolina, a moderately high pace walk for around 35 to 40 minutes in a day can increase the cell numbers of the immune system in the body over a time period, it can also have a really remarkable effect on the body's immune ability to fight against disease. And to be more specific, a walking for at least 20 minutes in a day can reduce the risk of getting sick by almost 43%. Walking does more help in the area underneath the region of your neck. Walking has proven to give extensive cognitive benefits to the mind, improving memory retention in seniors, and enhancing cognitive control raising academic performance among the preadolescents those who need it the most, when playing in the outdoors it boosts creativity in the children and keep them stay healthy. The better a child performs in memory and logic tests as compared to the folks who have poor performance than those who don’t walk. A study published in the American Medical Association Journal in 2014 showed how walking from an early age can help you to stay mobile and more of independent during your old age. The target size of audience include people within the age group of 70’s and 89. After around 2.5 years, the researchers found that the adult group of the population who exercised on a regular basis were to be 28% less likely to be physically disabled also having 18% fewer chances likely to develop any physical disability. University of California states that daily walking habit gives a longer life and reduce their death rate by 35 percent than those who don't walk going for a walk also increases your social contacts, as you meet people when you step out of your house, make friends, have interactions, and boosting your mind and spirit. A recent study conducted by taking 7000 males and 31000 of female recreational walkers have found that a habit of low walking intensity can risk mortality. Those who walk the fastest have tended to die the least. This was not an interventional study done where walkers were trained or coached to walk at a faster speed, this was just a mere observation done by looking at the various relationships between those who walk at natural walking speed and those who resolved to increase their walking speed but the result was not the same. Exercise, in general, is said to be good for the brain but walking in its specific way is said to be good for boosting up your memory. A study which was published in 2014 in The Proceedings of ﻿﻿National Academy for Scien﻿ce﻿s showed that how walking habit for just 40 minutes for a stretch till three times a week can increase the hippo campus volume by 2%, which is fairly significant. An another study which was presented during the 2014 annual meet of the American’s Association for Advancement in Science shows that, regular brisk walks can help you slow down the shrinkage of brain and the avoids flattering of mental skills which occur at old age often. The study was conducted with men and women ranging from the age groups of 60’s and 80’s and concluded by taking a short walk at least three times in a week can increase the brain size which is linked with planning and memory. Women over 65 years of age were found to age-related memory loss issues. But those women who used to walk at least 2.5 miles a day showed a result of having up to 17 percent reduction in memory decline rate whereas those women walking only 1.5 miles per day reported only 25 percent decline. Usually after having a long and hard day people prefer to have a glass of drink which acts as stress busters and gives them a light feeling, some also prefer having dark chocolates. But both of them have their health impacts. A study done at Long Beach University states that taking few steps every day keeps you stay fresh and active as it acts as an anti-depressant, reducing stress by giving good end or phins to the body keeping you alive. Walking for fitness purpose also Curbs excess eating due to stress eating. One of the best ways found till date known to kick your stressful eating habits up to the curb is few minutes of daily walking. It doesn't just work in random isolation though. The finest and most idealist way to curb a stress eating disorder is to meditate regularly, get good night sleep and walk for around nearly 10,000 steps each day. Some experts believe that stressful eating is more of a symptom of an unstable emotional or psychological mind problem. Walking regularly releases the endorphin content into your system which reverses the high cortisol levels present in your body, thereby helping you to curb stress eating. Several lines of studies and evidence point to the various benefits of walking on human immune system. Firstly, a mere 30 minute of walk increases a number of killer T-cells and also other makers of the immune system. Second, a study by a Japanese elderly man states that, higher counts of daily steps taken correlate with the improvement of mucosal immunity. And finally, for the postmenopausal women involvement in a walking or similar kind of training program, normally deteriorates the immune side effects which are associated with menopause. It is said that when we walk, thinking process starts. And as walking is nothing but a very low-difficulty endeavor, it’s easy to execute it anytime anywhere. When we work on problems, we think, and when we think we come up with many ideas, our mind replay’s the conversations we had, the scheme we went through, and then ruminate and discover new solutions. Or else we may just think about any trivial matter we saw on our way to work or home the other day. It’s also a worthy subject to think on. Walking can also become a kind of meditation. Meditation is considered as a foreign concept by many people we do know about how to do it, but we don’t know about its benefits. Even though when we want to try it, as we have read about the uses and benefits, still we lack the will power to do it. We should muster the courage to sit still at least for twenty to thirty minutes of your time. You can also put the walking meditation music on. All you need to do is just go for a stroll and let your mind and body tune to nature’s music free from all the clutter and chatter. Many articles and stories are written on how to lose weight by walking. Even though you may feel lazy and lethargic to start walking and making it a daily practice but once you begin doing it the results will automatically change your mindset and you will make it a practice yourself to spend at least an hour or half walking.